For pool and spa water filtration, look no further than the Coleco brand for your replacement filter needs. 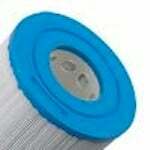 For pool and spa water filtration, look no further than the Coleco brand for your replacement filter needs. Filters Fast offers goods from this brand, as well as many others, on our website. 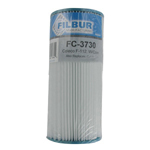 The Filbur FC-3710, Coleco F-120 Pool & Spa Filter replaces Unicel part number C-4607, Harmsco part number H-4607, and Pleatco part number PC 7-120. Also known as part numbers C4607, FC3710, H4607, 58600, 59900, F18, and Coleco F120 w/core. 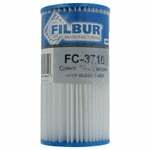 The Filbur FC-3730 Coleco F-112 Pool and Spa Filter replaces Unicel part number C-4611 and Pleatco part number PC 11. Also known as Coleco F-112 with Core, FC3730, C4611, and PC11.